Specialising in professional and affordable web design services for individuals and small/medium businesses. 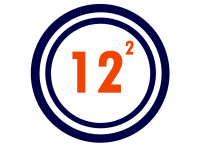 12 Squared is the face of a one woman freelance website designer based in Glasgow. Whether you need a domain, hosting, design and content, bits and bobs or just a facelift on an existing site, I'll work with you to tailor make a solution that won't break the bank. For websites that are affordable (starting at £300), functional and attractive, take a look at the portfolio section of my website for examples of my work.